In another leaked cable describing the potential to expand US interests in “isolationist” Austria, that nation’s ban on GM foods is highlighted. According to a leaked cable from 2007, of concern was French President Sarkozy’s desire to implement a ban on GM foods in line with populist sentiment. According to GMO Free Regions, France maintains its opposition to GM foods today. “As part of a decades-long anti-regulatory crusade, Gramm pulled a sly legislative maneuver that greased the way to the multibillion-dollar subprime meltdown…. This entry was posted in Economy Economics, Environment, Food & Farming, Genetic Engineering, Obama and Company and tagged biotech, biotechnology, diplomatic cables, economics, Environment, eu gmo rejection, european commission, european union, food bubble, food speculation, Genetically Engineered Food, Genetically Engineered Foods, gmo, monopolies, Neoliberalism, pollution, price fixing, price hikes, scientific studies, speculative commodities, us gmo agenda, USDA, wall street banksters, wikileaks. Bookmark the permalink. Rady: this is of particular interest for Argentina where the prices bubble showed the other side of the coin. 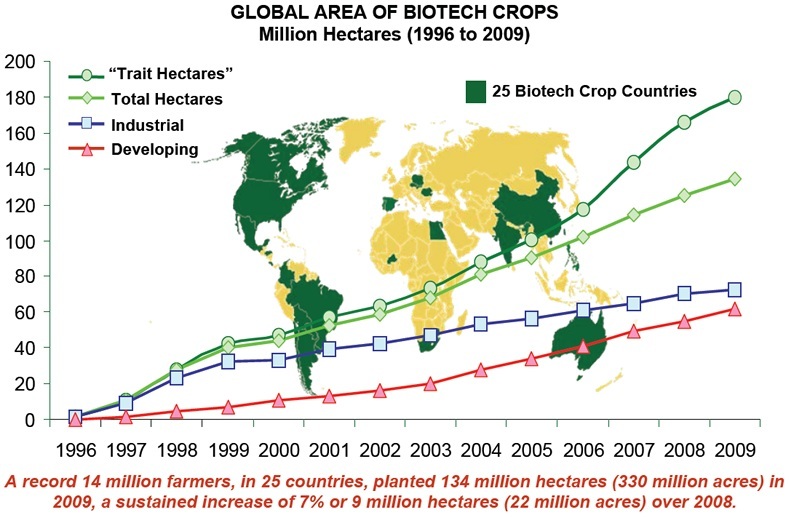 Being the third world soy beans producer (almost all Monsanto’s GM seeds) and the first soy oil exporter (plus corn, wheat et al), the country experienced a “gold rush” demand for land by the early months of 2008 as the prices hike of crops seemed to find no ceiling. Virgin lands were invaded and other less profitable branches (cattle, milk, honey) abandoned. Industrialized companies and inversion funds hired at higher and higher prices the properties from small and medium size farmers, which just left for an idle living in the cities. Investing in any other industry became a nonsense, meaning to lose a great opportunity of profit in the agro-business. By March 2008, the Argentinean Government issued a Resolution which taxed crops exports according to a progressive scale after the prices. This brought to a coordinated upheaval of land owners, big and small at once for the first time in history (traditionally hostile, their respective representational organizations united in a “liaison table”) demanding their right to hold “the full price”. With a lot of time to spend, those former laborers went to the main routes with their old tractors and brand new SUVs to halt the traffic, imposing a siege onto the cities and causing a scarce of basic goods and a hike in food prices. The biggest multi-media corporations -being themselves agro-business investors- presented the uprising as a victims plea for surviving and the Cristina Fernández administration as a cruel and ambitious robber. The traditional middle-class readers and TV watchers of those media believed this narrative and went to the streets to support the “poor farmers” struggle -who were responsible for the goods scarce! After four months of conflict and a lot of negotiations, the Government passed a law to the Parliament with measures of compensations for the lesser landowners but it was rejected in the senate by one vote: that of the Vice-President himself, who became an instant hero of the Opposition parties and of those enraged “farmers”. The President was in the verge of resignation. But, suddenly, the prices bubble deflated and a great drought ruined a big part of the crops and cattle, so the farmers turned to the Government for help. After the storm, the Government took a leftist turn with a lot of benefits for the poor and the pensioners; passed laws of democratization of the press, equal rights of wedding for gays, etc. gaining back its momentum, while the political opposition and the “liaison table” melted in the air. This year projection is of an historic record of 100 mill. ton. of crops, with good (but not insane) prices and President Cristina (who suffered the sudden death of her husband and political partner from their youth) changed from receiving the grossest sexist insults two years ago to a general wave of warm and sympathy and is headed for reelection in 2011. End of the story. Where I wrote “representational” should read “representative”. Sorry. nice recap, Bob ~ I know Argentina grows GMOs, I think every S. American nation does… but it’s interesting how the price spike played out. 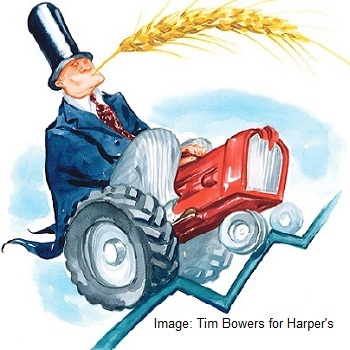 I take exception to the blog title (Leaked Cable: Hike food prices to boost GM crop approval) which implies that diplomats actively plotted to increase commodity prices in order generate greater acceptance of genetically modified foods. Of course, the truth is a lot more mundane, since the comment in the cable was purely speculative, positing what might occur given a different set of economic circumstances. Although I admire the author’s ability to write an enticing headline, I nonetheless feel deceived. A trust, once broken, can be difficult to restore. Pingback: U.S. targeted EU on GM foods: WikiLeaks « valor.freedom.